Boston, MA – Kyruus, a leader in provider search and scheduling solutions for health systems, today announced that Stephen Kahane, M.D., M.S., has joined its Board of Directors. Dr. Kahane, a senior executive at athenahealth since 2011, is an accomplished healthcare technology executive with a track record of driving innovation, company growth, and value creation. He will draw on his deep industry knowledge and experience to support Kyruus as it continues its rapid growth trajectory and brings additional industry-defining solutions to market. Kahane brings more than 30 years of healthcare technology industry experience to his position as a Kyruus Board Director. Having spent the last eight years in leadership positions at athenahealth, he has been instrumental in accelerating the adoption of its solutions among physician practices and health systems. 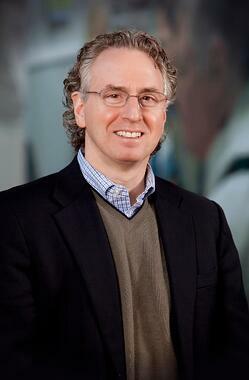 Previously, Kahane served as CEO of AMICAS, a publicly-traded imaging and information management company. He also served as CEO at two EHR and practice management companies: VitalWorks, which Cerner acquired in 2005, and Datamedic, which InfoCure acquired in 1999. Dr. Kahane earned his Doctor of Medicine and Bachelor’s degrees from Emory University and completed his clinical training in internal medicine at Johns Hopkins, where he also earned a Master’s degree in Computer Science. Kyruus delivers industry-defining provider search and scheduling solutions that help health systems match patients with the right providers across their enterprise-wide access points. Serving 150,000 providers across leading health systems nationwide, the ProviderMatch suite of solutions—for consumers, access centers, and referral networks—enables a modern and consistent patient experience, while optimizing provider utilization. The company’s award-winning provider data management platform powers each of the ProviderMatch solutions and transforms how health systems understand and manage their provider networks. To find out why a Better Match Means Better Care, visit www.kyruus.com.